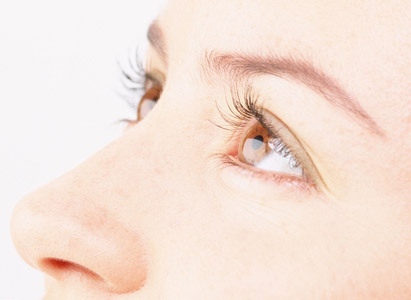 Eye cancer is a relatively rare malignancy occurs in the eyes. Eye cancer can be divided into eyelid cancer and intraocular cancer according to the sites. Eye cancer is often occurs in a single eye first, subsequently spread to another eye, the incidence of which varies in different age. Eye cancer usually caused by genetic factors or genetic mutations of the patients themselves. 1、Patient's eyelid usually has obvious mass when the cancer is happen in the eyelid which will affect their range of visions. Some serious cases may occur to mass broken or ulceration and lead to more severe symptoms. 2、When the tumors are located inside the eyes, they usually are retinoblastoma and choroidal melanoma, which mainly presented with ocular high pressure, eye pain, headache and poor eye sight. 3、Orbital tumors, such as the lacrimal tumor, optic nerve glioma, generally perform as eye pain accompanied by tears, proptosis or eye movement disorders and decreased eye sights. Experts from Modern Cancer Hospital Guangzhou remind that early detection and early treatment are the basic principles for eye cancer treatment. Once suspected eye cancer symptoms are emerged, one should go to the regular hospital for professional examination promptly.